Part zoo management simulator, part co-op adventure, and part cart driving game, Zoo Tycoon delivers a rich experience, even if its zoo size limitations feel restrictive. Zoo Tycoon is a curious reversal of expectations. Something you might imagine to be very hard — letting one player run around a zoo while another is rearranging it — is executed effortlessly. On the other hand, something you might take for granted — the ability to build out your zoo until it fills the map — is strangely lacking. It’s a delightful game, but running up against its limitations will make you question its $60 launch price point. The most impressive and surprising aspect of Zoo Tycoon is its co-op multiplayer. Drop into a zoo, invite up to three friends, and see them drop in alongside you. Your avatars are now all free to roam the pathways of the zoo and (here’s the brilliant part) summon one of four maintenance carts to let you cruise around while kickass jingly music plays. 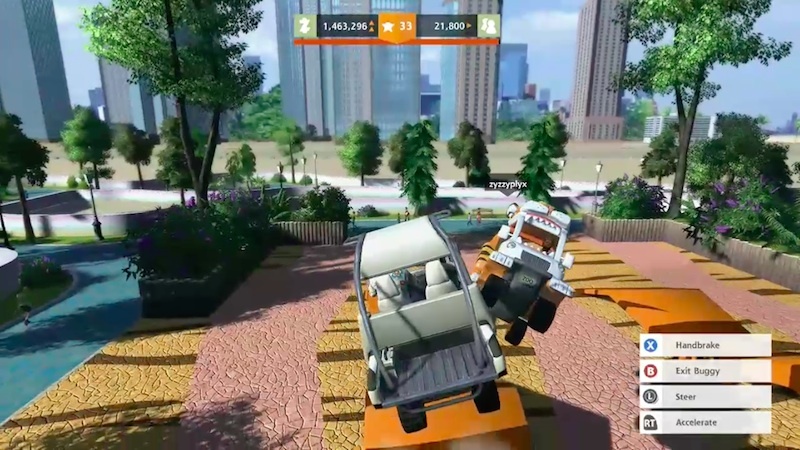 You can even race these carts across randomly-generated courses throughout the zoo. It’s a good time. Racing maintenance carts can get a little nuts, especially given that some of the plazas seem designed for stunt driving. At any point, you or one of your co-op conspirators can punch out into tycoon view, which presents an overhead management view of the park. The drop-dead coolest part of this is that one player can be physically rearranging the zoo — ripping exhibits out of the ground and plopping them down across the map — while another player stands on the ground and sees these exhibits floating around above them. It’s crazy that this works as well as it does. Zoo Tycoon also manages to handle co-op save files gracefully. Each file is stored server-side so that any of the participating players can download it and play. Once a player has opened a save file, the other participants can join them in their game, but cannot grab their own copy of the file until nobody is playing it once again. It’s a smart system that enables both asynchronous and synchronous cooperation on a single, canonical zoo without creating save state conflicts. The end state for a successful Zoo Tycoon zoo is not satisfying. In almost all cases, a zoo’s ability to grow will be prematurely stunted by the game’s restrictive zoo size limit. This is not a limit on physical size — the map is large enough to accommodate a massive zoo — but rather a limit on the number of objects, animals, and attractions that can be placed within a zoo. It’s possible that this size limit is in place to create a challenge. It forces you to make difficult decisions about which exhibits to to replace in the name of completing the random objectives that the game presents. However, this challenge feels more frustrating than intriguing, as swapping exhibits to keep zoo size low is a bummer of a time. Because of this, I can only imagine the size limit derives from technical restrictions, perhaps the result of the game’s dual release on the Xbox One and Xbox 360. 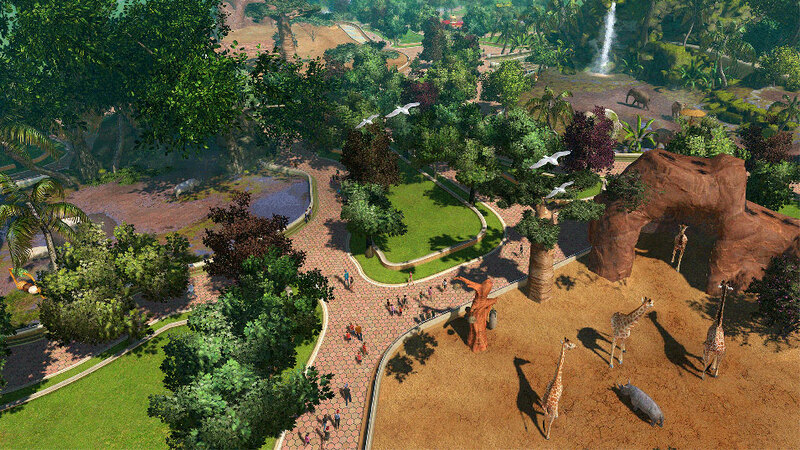 These limitations might be easier to stomach if Zoo Tycoon didn’t tease you with such a massive map. There is easily enough space to build exhibits that are minutes apart from each other on foot, and you can’t help but be caught up in visions of an expansive, sprawling empire of a zoo. Unfortunately, the reality is a choice between a network of sparsely placed attractions or a dense clump of civilization in a corner of the map, neither of which is a particularly satisfying endpoint. If you and one or more friends want to build up a zoo together, Zoo Tycoon offers a fantastic framework for doing so (note that you’ll need the Xbox One version, as the 360 edition doesn’t include multiplayer). However, if you’re only looking to play the campaign or run a zoo on your own, there isn’t quite enough here to justify the current $60 price point. In both cases, the zoo size limitations will be a point of frustration, but the co-op gameplay is so solid that it’s worth a try regardless.